Provide comfort for the family of Janet Wendling with a meaningful gesture of sympathy. 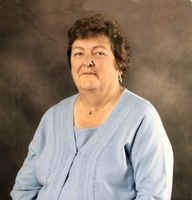 Janet S. Wendling, 75, of Indianapolis, IN passed away Sunday, March 24, 2019 at 1:12 A.M. at the home of her niece. She was born September 20, 1943 in Indianapolis, IN to George and Cecelia (Schmitz) Wendling. She was a 1961 graduate of Sacred Heart High School in Indianapolis, IN. Janet had worked for Eli Lilly and Company in Indianapolis from October 3, 1966 until her retirement on December 31, 1993 having served 27 years. She was a member of St. Rose of Lima Catholic Church in Franklin, IN and also St. Jude Catholic Church in Indianapolis, IN. Her interests included going to the casino, computer games and chatting with friends on Facebook, she enjoyed NASCAR and INDY car racing, playing euchre, and the Indianapolis Colts. From an early age, Janet had a passion in helping anyone and everyone around her. Not having children of her own she quickly became a second mom to her niece and nephews. It was very common for her to arrive at her sister’s home with a trunk full sodas, snacks and donuts. She was the first one to quickly buy tickets at a carnival or fair for all the kids to enjoy rides. That generosity was carried over to the next two generations with the same passion. Her selfless acts of kindness to children and adults alike were always first and foremost in her mind. Her happiness came from caring for others and was a true blessing to all those who knew her. She embodied the essence of a true angel and will be greatly missed. The family would like to extend our sincere gratitude to St. Francis Hospital Oncology and to Dr. Subhash Sharma for the excellent care and compassion given to Janet over the last three years. Survivors include her niece Stacy Snider of Indianapolis, IN; a nephew Patrick Smiar of (Jodi) of Taylorsville, IN; great-nieces Brittany Rauch (Jason) of Indianapolis, IN, Sarah Cline (Fiancé Rob Dougherty) of Marshall, IL, Jennifer Pearson (Chris) of Columbus, IN, Simona Santabarbara (Raffe) of Indianapolis, IN, Cristina Willison of Indianapolis, IN, Karen Smiar of Taylorsville, IN, Haley Willison of Boise, ID, Savannah Willison of Boise, ID, and Amber Willison of Texas; a great-nephew Noah Willison of Boise, ID; six great-great-nieces and 6 great-great-nephews; and her cat Lillie. She was preceded in death by her parents George and Cecilia (Schmitz) Wendling; a sister Barbara Smiar; an infant brother George R. Wendling; nephews Mark Willison, Scott Willison, Greg Willison, and Jeff Willison. Father Steve Schaftlein will conduct a service on Saturday, March 30, 2019 at 10:30 A.M. at Swartz Family Community Mortuary and Memorial Center, 300 South U.S. 31 (Morton Street) in Franklin, IN. Friends may call Friday, March 29, 2019 from 4-8PM at Swartz Family Community Mortuary and Memorial Center, 300 South U.S. 31 (Morton Street) in Franklin, IN. Burial will be in Nineveh Cemetery in Nineveh, IN. Online condolences may be sent to the family at www.swartzmortuary.com. Information at 317-738-0202. Provide comfort for the family of Janet S. Wendling by sending flowers. My thoughts and prayers for the family of Janet. We were good friends all through high school and Janet was a bridesmaid in my wedding. We lost touch for many years after and my family moved to Cincinnati. We reconnected when our class at Sacred Heart celebrated our 50th class reunion. I stayed with Janet and we went to reunion and 500 Race. It was a great time seeing each other again.she was a wonderful friend and I will never forget her. I will truly miss her. To Stacy and Family , Lori and I wish to extend our deepest condolences for the loss of Janet. Our sincerest hope is that you can find comfort in knowing Janet has her new home in peace and joy . God bless. John and Lori. I am so sorry to hear of Janet's passing. She and I worked together at Lilly and we became good friends. Until we meet again, Jan.
May the family of Janet S. Wendling please accept my sincere condolences hoping you find comfort in God's words at Acts 24 : 15 and Psalm 37 : 29.